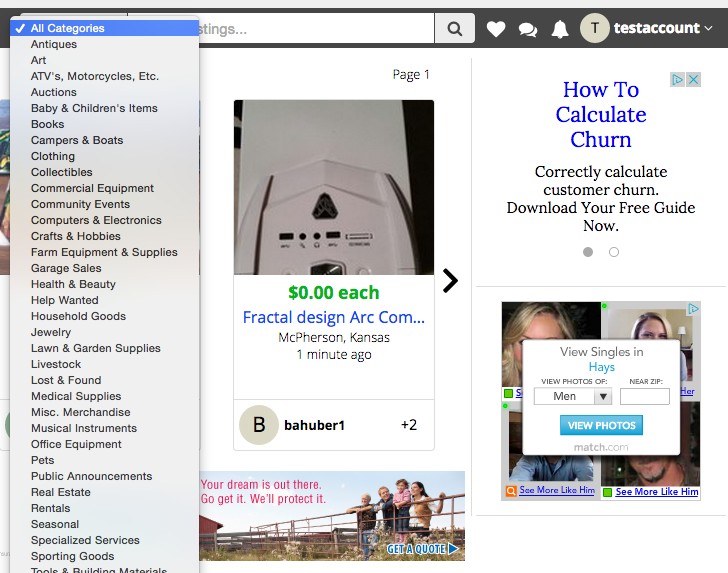 Search listings allows you to find listings by words found in the Title or Description. A very useful way to filter your search is by using wildcards with your search words; question (?) matches any character, and asterisk (*) matches zero or more characters. An example would be using the keywords 2015 Chevrolet Truck. This would return listings that have the words 2015, Chevrolet and Truck. If you used 201? for the year then would get Chevrolet Truck for the years 2010 thru 2019. 20?? would return listing for the years 2000 thru 2099. If you used Chev* then the listings would be for Chev, Chevy, Chevrolet and so on. You can also exclude words by using a minus (-) character before any word. So a query like 2015 Chev* -Truck would return any 2015 Chev, Chevy, Chevrolet ... and doesn't have Truck. 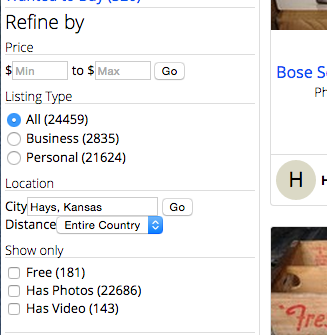 Once you've searched for a listing you have an option to Save this Search. 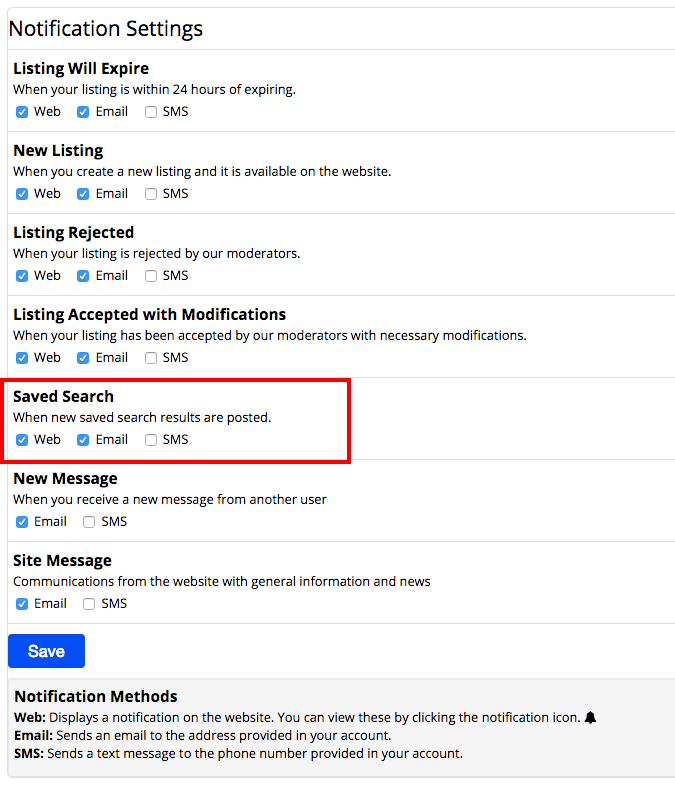 When you save a search you can change the Name, and have the option of having Notifications sent to you whenever a listing is posted that matches your search criteria. There are three ways you can be notified, by Email, SMS or seeing them listed on the Notifications page. 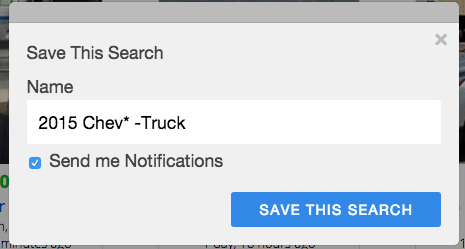 To see your notifications select the notification icon in the menu bar. To change how you are notified select the link Notification Settings. 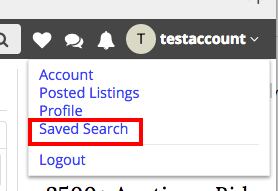 You can run a saved search again, edit or remove it by opening the Saved Search page by selecting your <username> and then Saved Search.